Farmer, auctioneer, MLA (1896-1899), MLA (1900-1903), MLA (1908-1910), MLA (1911-1914), MLA (1914-1915), Premier of Manitoba (1915-1922), MLA (1916-1920), MLA (1921-1922), MLA (1923-1927), MLA (1927-1932). Born at Brampton, Ontario on 5 September 1861, son of Arthur Norris and Phoebe Crawford, nephew of John S. Crawford, he migrated to Manitoba with his family and farmed near Griswold and jointly owned a livery stable. He moved from farming into auctioneering, where he established a considerable reputation. He was elected to the Manitoba Legislature in 1896 and re-elected in 1899. He was defeated in 1903 by 16 votes by Harvey E. Hicks but was re-elected in 1907, 1910, 1914, 1915, 1920, 1922, and 1927. He was Leader of the Opposition for several years. Norris became Premier of Manitoba in May 1915 when Rodmond Roblin resigned over a construction scandal involving the Legislative Building. During his term of office (1915-1922), the government had to deal with wartime conditions and the return of peace, including the post-war challenges of the Winnipeg General Strike of 1919. The Norris ministry has been labelled “the centre of reform activity in Canada” for its progressive legislation. It introduced temperance legislation, female suffrage, compulsory education, workmen’s compensation, and minimum-wage legislation, in addition to a public nursing system, rural farm credit, regulation of industrial conditions, and a mother’s allowance for widowed dependent mothers. The province also increased road construction and public works, while balancing its books. Norris’s great failure, perhaps, was his inability to intervene successfully in the labour unrest of 1919. The provincial government stood aside while the strikers in Winnipeg battled the city and the federal government. 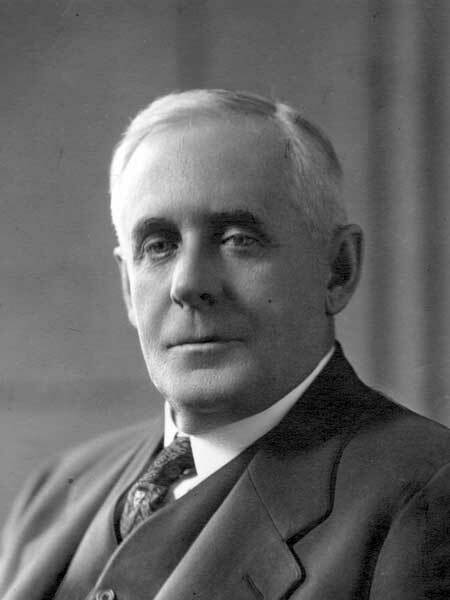 His government was defeated in July 1922 but Norris remained in the legislature until 1925, when he unsuccessfully contested a federal seat, being defeated by Robert Rogers. He then returned to the provincial legislature at a 1925 by-election until taking up an appointment to the Board of Railway Commissioners. He died unmarried at Toronto, Ontario on 29 October 1936. His premier’s papers are in the Archives of Manitoba. He is commemorated by Norris Road in Winnipeg. “Tobias C. Norris, 1915-1922 ” by Morris Mott in Manitoba Premiers of the 19th and 20th Centuries, edited by Barry Ferguson and Robert Wardhaugh, Canadian Plains Research Centre, 2010. Tobias Crawford Norris, Dictionary of Canadian Biography.